Intel® Skylake (6th/7th) U-series Processor. as gaming, surveillance, medical, defense, transportation and industrial automation application. vision and digital signage applications. 4 x USB2.0, Intel® High Definition Audio,  two PCIE Mini card socket or MINI CARD2 to mSATA. CPU: Intel® Skylake 6th/7th generation Intel® Core™ U-series Mobile processor, FCBGA1356 package. Display port interface: Onboard Display port connector (Display port and optional VGA or DVI-D can’t be enabled simultaneously). 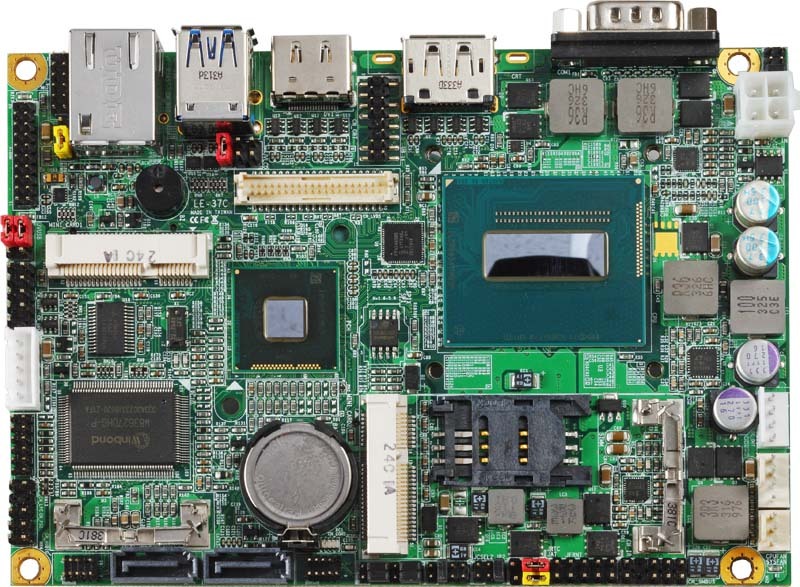 LAN Interface: 1 x Intel® I210 Gigabit LAN and 1 x Intel® I219-LM Gigabit PHY LAN (Support iAMT11). 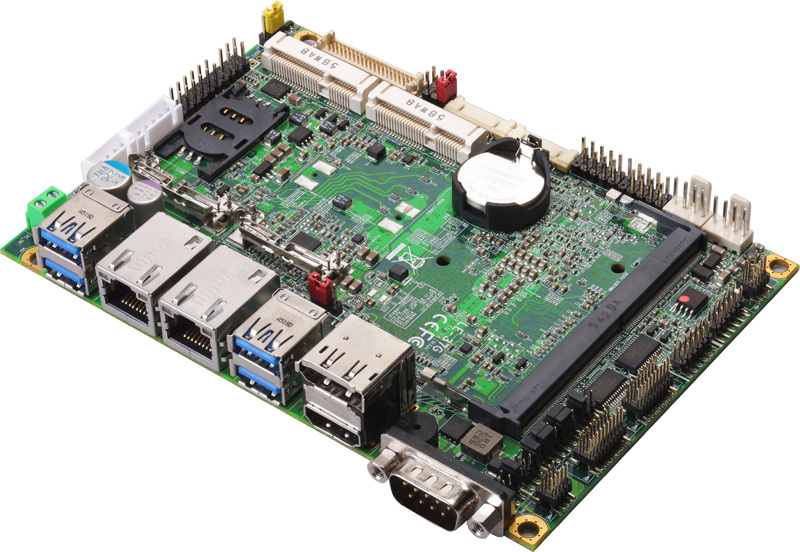 Internal I/O Port: 1 x PS/2, 4 x RS232, 1 x RS232/422/485, 1 x GPIO, 1 x Audio, 1 x SMBUS, 1 x LVDS, 1 x LCD inverter, 1 x LPC, 4 x USB 2.0, 2 x SATA3, 1 x DC Out, 1 x VGA for optional, 1 x DVI-D for optional. External I/O Port: 1 x RS232, 1 x HDMI port , 2 x LAN, 4 x USB 3.0, 1 x Display port for optional. 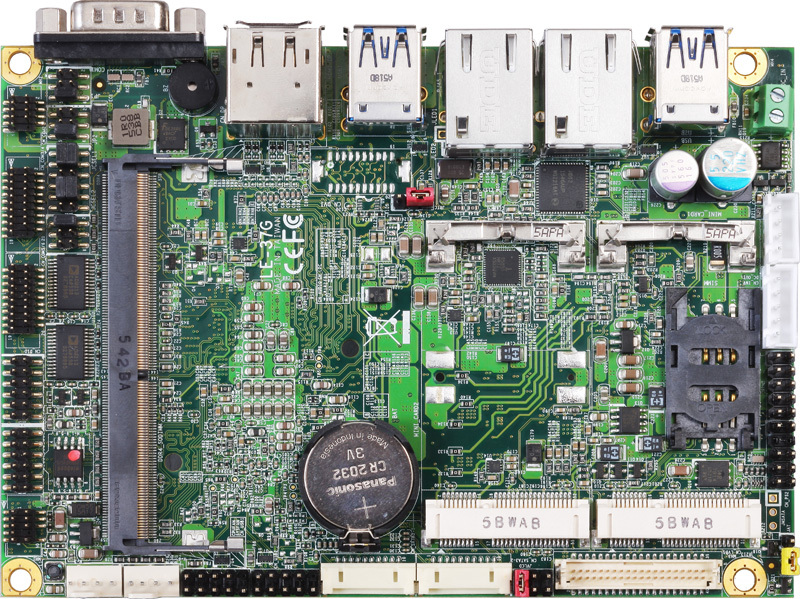 Extended interface: Two PCIE Mini card slots (Only MINI CARD2 support mSATA), one SIM socket. Power Requirement: DC Input 9~30V. Note: Display port ,VGA , DVI-D optional for one .